Many Confederate regiments could have said “we almost whipped the Yankees” after the fighting at Gettysburg, but a soldier from the 10th Virginia Infantry would’ve had special bragging rights. They had occupied a Union position for hours! 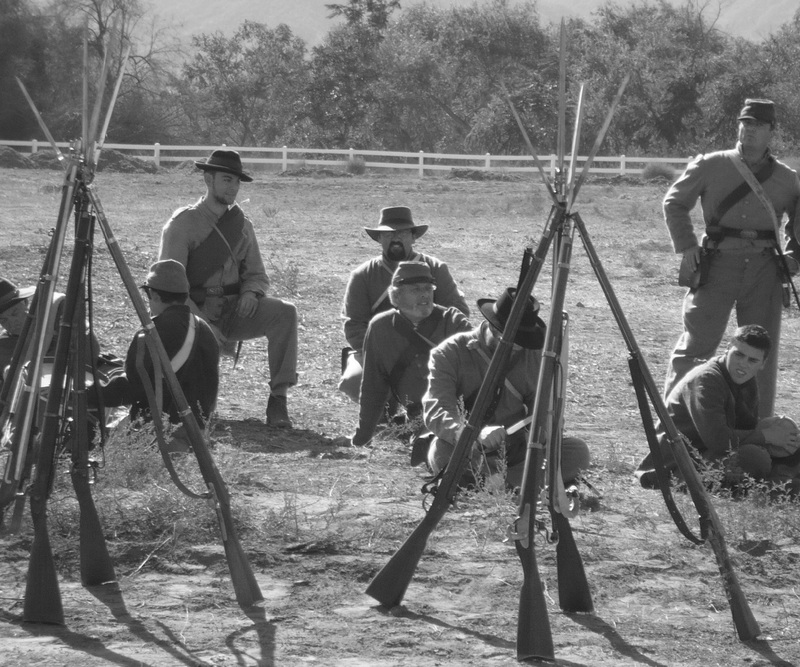 One of the fictional soldiers from Blue, Gray & Crimson served in the 10th Virginia Infantry and today, I’d like to share a little history about his regiment. I’ve written about the Shenandoah Valley in Virginia before, but today we actually get to talk about a regiment from that area. In the spring of 1861, Confederate regiments were organized at Harper’s Ferry, and the 10th Virginia was one of them. The men of the regiment came from the central/northern counties of the Valley. The men’s pre-war occupation was farming or working in a small town. The most of the people of the Shenandoah Valley did not favor secession of the Southern states, but when the war started, they enlisted to defend their state and families, and most Shenandoah soldiers were adamant that they were not defending slavery. The Battle of First Manassas (July 1861) was the 10th Virginia’s first large battle, and afterward they were transferred to the Shenandoah Valley military district to serve under General “Stonewall” Jackson. They fought in the Valley Campaign, and then joined the Army of Northern Virginia for the Seven Days Campaign, Cedar Mountain, and Second Manassas. They missed Antietam (Sharpsburg) because they were on detached duty elsewhere, but fought at Fredericksburg at the end of 1862. In 1863, the 10th battled at Chancellorsville and then marched northward with the rest of General Lee’s army. During the Gettysburg Campaign, the 10th was commanded by Colonel Edward T.H. Warren and was in Steuart’s Brigade, Johnson’s Division, Ewell’s Second Corps. The regiment came to Gettysburg as a “veteran” regiment; they were battle experienced and enthusiastically hoping for one more battle before ultimate victory. Although part of Ewell’s Second Corps, the 10th Virginia was not in combat on July 1, 1863. Their division arrived late and eventually maneuvered into position near Culp’s Hill, which was the Union’s right flank. Most of July 2nd passed with skirmishing elsewhere on the battle lines and preparation on an assault. The position in front of the 10th was not going to be easy to capture. The hill was densely wooded, large boulders hid in the trees, and there was a creek in the assault line. Artillery support would be almost non-existent because of the wooded area. The soldiers may have heard their Union enemies digging fortifications and chopping down trees to make their position more secure. The infantry waited. And they continued to wait, while the sound of battle came from the Union’s left flank. 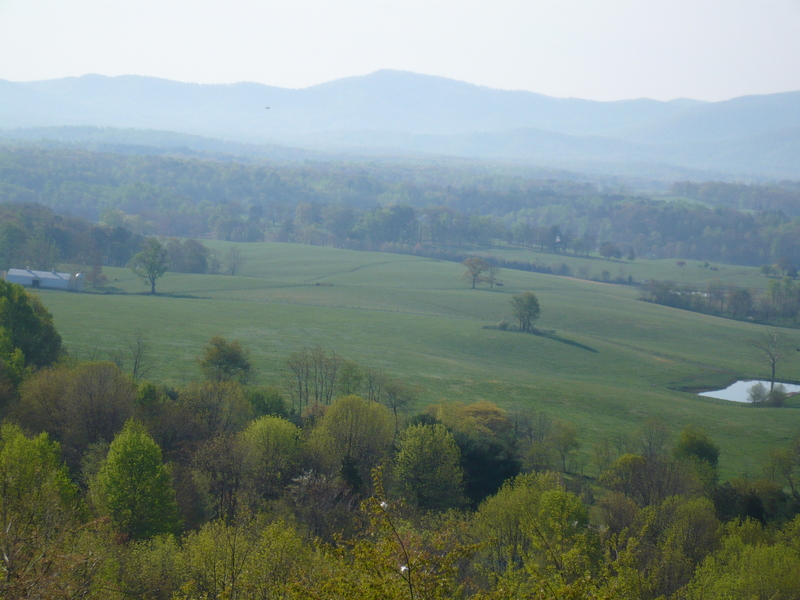 The 10th Virginia was on the far left of the Confederate attack line as they moved toward Culp’s Hill on the evening of July 2. The attack was quite successful, partial because about 2/3 of the Union defenders had been moved to a different part of the battle area (see 27th Indiana: Bayonets & Flags). By dark, the 10th was in the Union fortifications, but fighting continued. It became disastrous as other Confederate soldiers accidently exposed the 10th to friendly fire. Confusion and terror continued throughout the night. In the morning of July 3rd, Union troops counter-attacked. Steuart’s Brigade eventually reformed and launched a new attack. The 10th was ordered away from the main unit to clear an area of flank skirmishers, and they were semi-successful. The regiment organized behind a stone wall (side note: different stonewall than the one the 27th Indiana charged; the 10th is facing the 20th Connecticut at this time). Colonel Warren reported that only 50 soldiers remained with him at this point; casualties had been heavy. Ultimately, the Confederate attacks on Culp’s Hill did not succeed – though from the 10th Virginia standpoint their battlefield was “secure.” They remained in position throughout the day, but retreated under the cover of darkness. The 10th Virginia lost about 25% of its men at Gettysburg. The wounded who were within the Confederate lines were cared for by surgeons in gray and some were probably taken back to Virginia on the retreat. The injured soldiers outside of the Confederate lines became prisoners and were taken to Union field hospitals. The dead were probably left unburied on the battlefield and would have been interred by Union soldiers or civilians. Confederate soldiers were not buried in Gettysburg National Cemetery, so the fallen of the 10th Virginia would have remained buried on the battlefield, until the Confederate dead were removed and reburied in the South. Honestly, because they were in the exact and correct area of the battlefield, and I needed a Confederate regiment in my story. But it’s a little more than that. I’d met a re-enactor who encouraged me to research his regiment. And as I read about the unit, I was impressed by the “fighting record” they brought to the field. I was also intrigued by the hard-to-document fight that occurred when the regiment was sent to combat the skirmishers on the far flank. Then, of course, they’re from Virginia…and The Valley – so that was definitely a deciding factor because of the fictional character’s background…and I love Virginia. P.S. 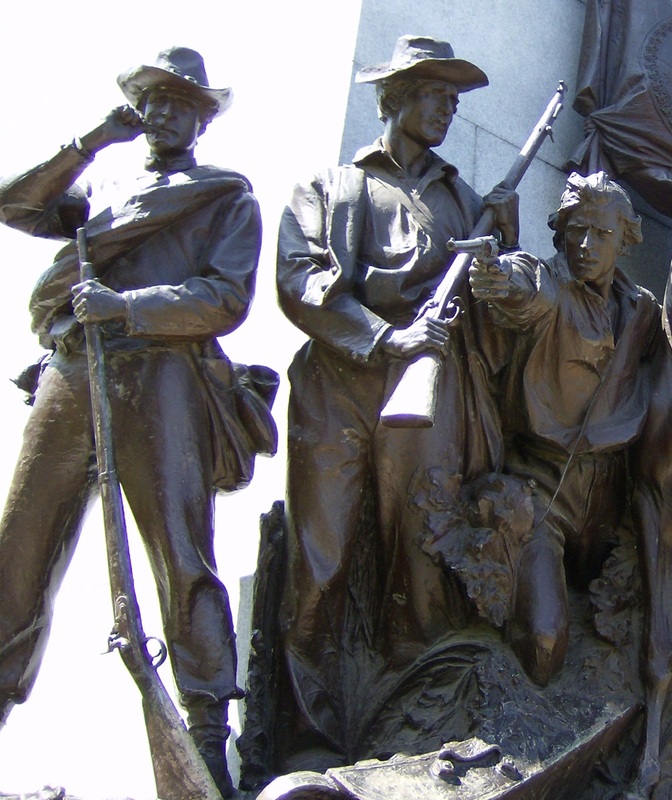 Do you have a favorite Confederate regiment at Gettysburg? In a comment, shout out their name and their general fighting area at Gettysburg.